Fresh out of the aftermath of his parent’s divorce, Australian teenager Luke Hunter tries to remain calm when his mum declares they’re moving to an unknown place called Phoenix in the bush. Upon arrival, Luke notices Phoenix is a town where there’s more that meets the eye. No phones, no Internet, no cars, everyone travels by bike and are living in homes that look just like everyone else’s. Missing his dad, Luke attempts to settle in and make friends at High School. With the appearance of a rough homeless man streaking across the prestigious Phoenix town, Luke can’t help but take notice. A mysterious gift of a flash drive with a classmate’s name only adds to the confusion. Even though the event does assist in the process of making friends with cool Peter and fiery Jordan. 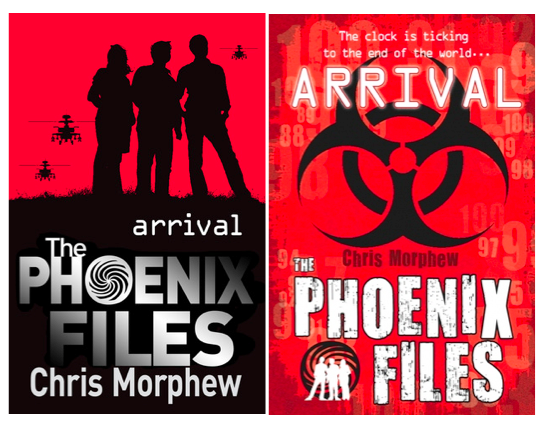 Curiosity builds as they decode the flash drive, discovering a possible confession that Phoenix was built to save humanity- and that the world would be ending in 100 days…. The countdown at the beginning of each chapter added to my fury in reading this book. Morphew is a talented Aussie in creating action and suspense that encourages the younger generation to read. How would you feel if you learned the world is going to end, and you’ve been selected as a part of the population to be saved? It’s a big question for teenagers to ignore. The mysterious context of Phoenix blends well with the teenage angst and drama of normal life adjusting to abnormality. It was a joy to be filled with the scenery of a hidden part of Australia, and Morphew left me wanting more. There are four books in the series so far and I can’t wait to get back to learn more about what’s happening to this world. I hope that an American publisher picks up this book; it’s been a wonderful experience to read such a delightful YA series about Australia. Not enough YA books take place in Australia and America needs the Southern hemisphere exposure. I can’t wait to get my hands on the next book Contact!